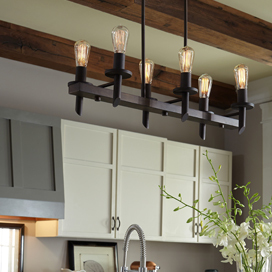 Residential Lighting Melbourne: New Ceiling Fans for Summer! New Ceiling Fans for Summer! The weather in central Florida is often very warm, and whether you live in Melbourne, Cocoa, or Palm Bay, you often need to find ways to beat the heat. Your home likely has central air conditioning, but you don’t want to spend an exorbitant amount on energy bills during the summer. This is where new ceiling fans come in handy. 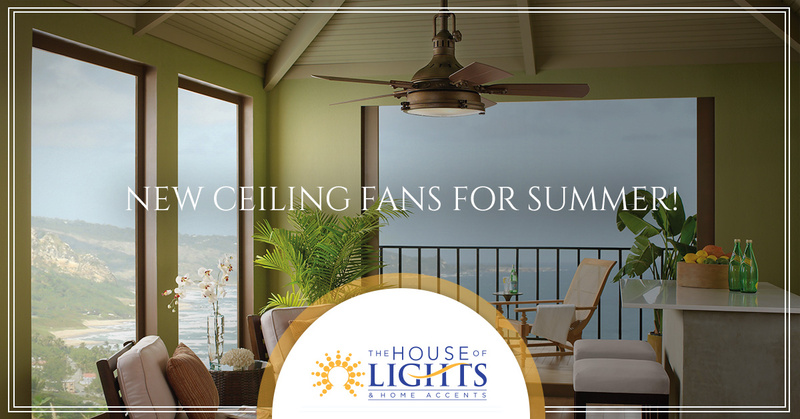 At The House of Lights & Home Accents, we can help you find the perfect fan for your bedroom, living room, and even your backyard patio. 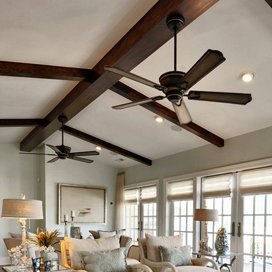 Keeping cool is a must during the Florida summer, and we have a great selection of ceiling fans from which to choose! Your home may be fairly new, and it was likely designed with properly sized ductwork, vents, and returns so that the house receives proper airflow when the air conditioner is running. However, a well-placed ceiling fan can greatly improve the air circulation in a room, since it pushes the air that’s gathered at the top of the room back down towards the floor. The fan should be turning in a counterclockwise direction, which pushes the warm air that’s risen to the ceiling down towards the floor, cooling it and circulating it with the cooler air in the bottom portion of the room. If your current ceiling fans are a bit outdated, then you could be paying more to run them each summer. Newer models are quieter and more energy-efficient, which means that you’ll have more affordable cooling during those hot days of July and August. With a new ceiling fan, you can also set the air conditioner at a higher temperature, meaning that it won’t turn on until the thermostat reaches that temperature. If you’re gone during the day, you can set the air conditioner at a reasonable temperature, and leave the ceiling fans running. The AC will turn on when it needs to, while the fans keep your home cool and comfortable for when you return. 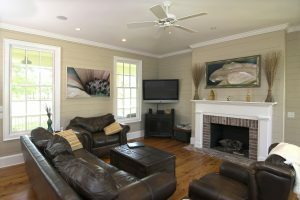 Outdated fans can detract from the appeal of your home, and if you’re planning to entertain or have houseguests during the summer, then it can be a good idea to update your fans sooner rather than later. It may be as simple as installing new fan blades, and our experts can help you choose the best options. If you need to completely replace the fan, blades, motor, and all, then we can help you there as well. We want you to have the most ideal fans in each room, and we can explain how to pick the proper fan size based on a room’s dimensions. 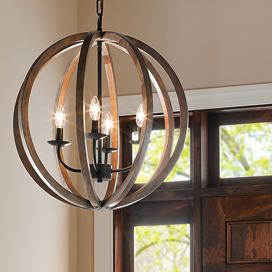 If you’re looking for new ceiling fans, then come to our lighting showroom in Melbourne today. 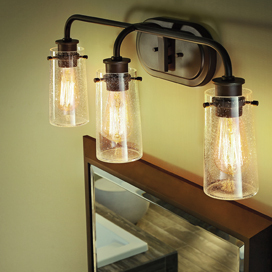 We’re proud to be a premier provider of residential lighting and home decor in central Florida, and we’re always adding new products to our inventory. Fill out the form below to get in touch with us, or call us at (888) 335-5899 for more information. Our store is open Monday through Saturday, and we’re always excited to meet new people!